Choose a design from the ice gallery, or create your own unique, one-of-a-kind design. 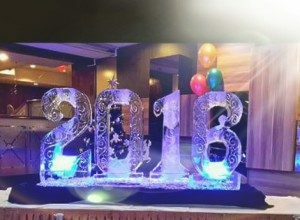 If you prefer something simple, pick a word, a number or a date, and make them into beautiful ice carvings. Iceman delivers ice sculptures to locations in Singapore and West Malaysia. Call (+65)6744-8484 and put your ideas into ice now! Our Ice Sculptor, Jeffrey Ng, was interviewed by Channel 8. Take a look at the video below to get a sneak peek of our workshop as well as our sculptor in action!